Tired of Tokidoki? Not into engineering grad school chic? 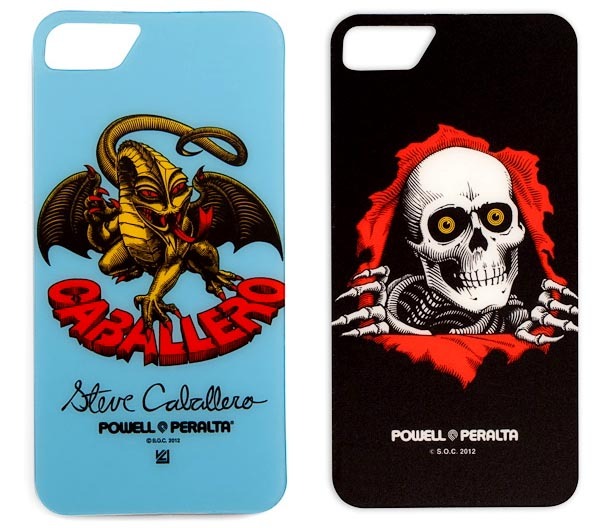 California-based Element Case honors the local skate heritage with a new collaborative series of iPhone 4/4S protective cases aptly titled the Skate Legends Series. 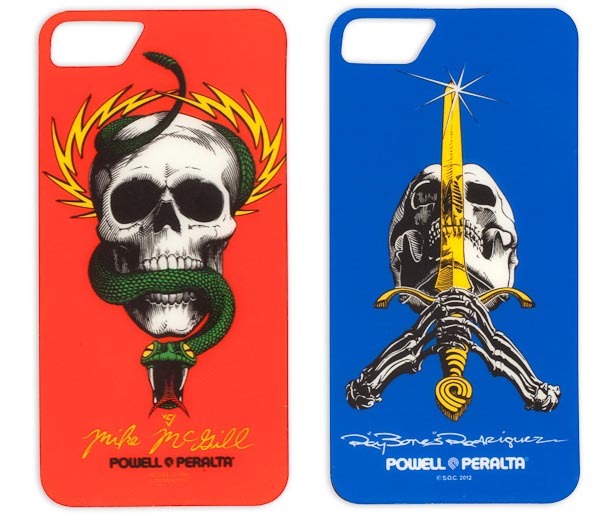 Powell Peralta, G&S and others have teamed up with Element Case to design custom screen printed backplates for the iPhone 4/4S featuring iconic skater artwork from the decks of the Bones Brigade and other proto skate legends like Mike McGill, Steve Caballero, Ray Rodriguez, Brad Bowman, Christian Hosoi and Duane Peters. Made through a screenprinting process which emblazons the aircraft grade aluminum cases with the same graphics that made their 1970s & 80s decks so famous, the slim cards weigh in at only 22 grams each. You can buy Element Cases’ Skate Legends Series individually or choose from three different premium packages: the Vapor Pro, Vapor Comp or the Formula 4.